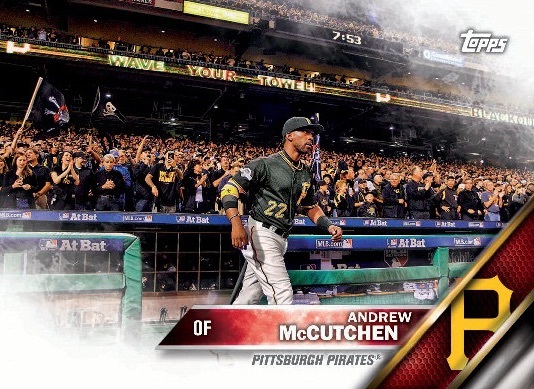 2016 Topps New Era Baseball combines the official card producer and official on-field cap for Major League Baseball into one cardboard product. The limited set is only found via packs at select LIDS locations in exchange for New Era MLB cap purchases. 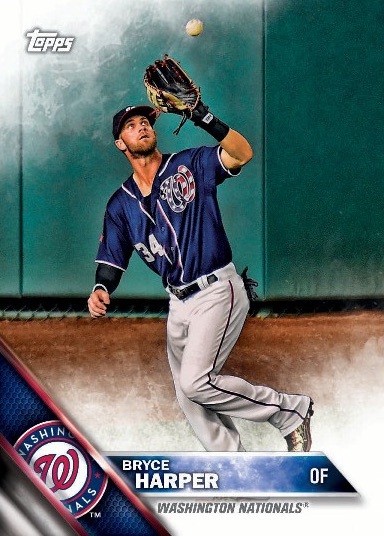 The base set totals nine cards and utilizes the 2016 flagship design. Parallels include numbered Blue, Green and Red versions. Cap Relics (#/99) offer player-worn MLB Authentic Collection 59FIFTY swatches for all nine players and there are one-of-one Logo parallels. 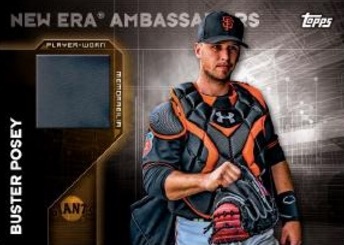 In addition, a single Autograph Swatch Relic for six of the players includes both a memorabilia piece and a signature. 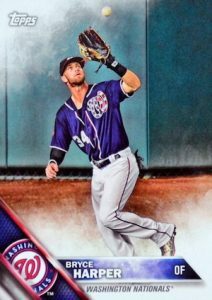 All the cards in 2016 Topps New Era Baseball showcase images that are exclusive to the set. 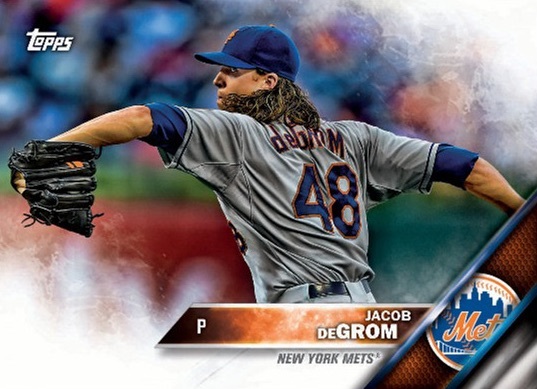 Fans and collectors can obtain these limited cards through New Era MLB hat purchases at select LIDS stores, as well as Locker Room by LIDS and LIDS Clubhouse stores in the United States. 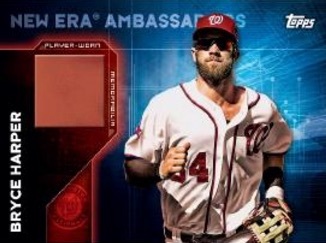 Each hat purchase yields one 2016 Topps New Era Baseball pack that includes four cards. These are mock-up images and not final cards. Contents and designs are subject to change. 9 cards. Shop for base cards on eBay. 6 cards. Serial numbered 1/1. 1:55,000 packs. 9 cards. Serial numbered #/99. 1:423 packs.